The cost of consumer goods is high enough. 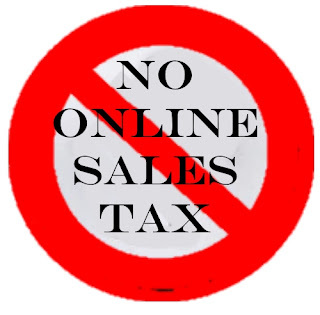 If you live within Maryville you will have the opportunity to prevent yet another tax being applied to the goods you buy online. A proposed tax on out-of-state vendors, who may sell you goods online, is being proposed. Just say no. The vendor will collect the tax, but make no mistake, YOU will be the one paying it, not the out-of-state vendor. They will only be remitting it as they already do the state tax. For those with Maryville addresses who live outside the city limits, you will get hit with this tax as well, even though you don't live inside the city limits. Unfortunately, WE county residents don't get a vote on this, even though it will affect us directly, since we don't live within the city limits. Please ask your friends and family who do live within the city limits to vote NO! These online city use taxes will be challenged in the courts as this problem is happening all over the country. Folks out in the county but with city addresses have already been paying their city use taxes unnecessarily. Please share this, particularly if you know of someone in the same situation in the country. It's not just a problem for those 150-160 cities in Missouri but nationwide. You can follow the discussion Maryville's Greg McDanel on Facebook here.